Of all the new “icons” to emerge since the rebirth of the mechanical wristwatch – and there are plenty when you factor in the Hublot Big Bang, the skeletal designs from Richard Mille, Franck Muller’s reinvention of the tonneau and others – Bell & Ross’ BR0 may be the most relevant. Why “relevant”? Because the BR0s are the most approachable in terms of price. Anyone can aspire to say, a Richard Mille RM011, but exponentially more people can actually afford an entry-level BR0 model, typically at under £3000. 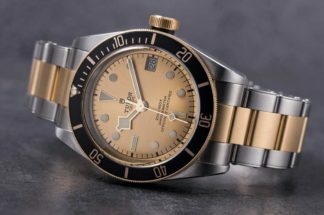 Conversely, Bell & Ross has used the BR0 round dial/square case formula for everything from diving models to tourbillons, but the where the irony comes in is with this “high end” of the BR0 range: even when the watch hosts complications or exotic materials, the pricing remains sensible. It’s a lesson in humility for all of the brands that are slowly – but surely – killing the geese laying all those 18k ova. 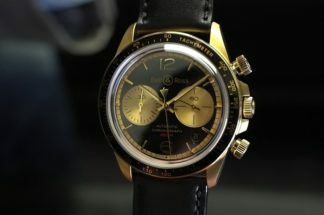 What Bell & Ross creates with its luxo-BR0 models are unusual mash-ups of military designs – the entire shtick is based on cockpit instrumentation – with haute horlogerie credentials. Yes, Panerai, Breitling and a few others do it, too, so I’m not ascribing uniqueness to this concept, but the BR0 models, especially those with an “X” in the name, do it with a delightfully weird French insouciance. Look up the magazine Metal Hurlant or Wild Planet to catch my drift. You don’t get more French. That simple “X” is important, because Bell & Ross uses it to designate, as does NASA, its experimental models. The “X Factor”, before it was co-opted for a mind-numbing reality TV show, has always meant mystery and unknown elements (rather than attitude masquerading as talent). For Bell & Ross, the letter “X” first appeared in 2014 with the BR-X1, featuring a skeleton chronograph movement inside a high-tech BR0 square case that combined titanium, ceramic and rubber. It was followed in 2016 by the BR-X1 Tourbillon Sapphire, which redefined the possibilities of the BR0 case by providing total transparency thanks to the square case being cut directly from a block of sapphire. For 2017, the BR-X2 Tourbillon Micro-Rotor shows its X factor by forming the case from steel and sapphire, in the form of a sandwich. It thus provides structural integrity and total transparency without the agonising manufacturing process of carving a solid block of sapphire. 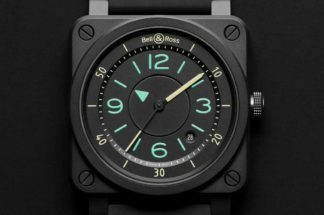 Bruno Belamich, the brand’s creative director, came up with the idea of “fusing the case and movement into a single component to make the case disappear, leaving only the movement visible.” Clever, this: the basic structure of Bell & Ross’ BR0 watches lent itself perfectly to this novel solution for a sapphire construct. OK, so it’s a “semi”, but you still enjoy a complete exposé because the 42.5mm structure consists of see-through top-and-bottom solid sapphire plates, between which is the movement in the aforementioned sandwich configuration. From the side, you see a slim strip of steel. 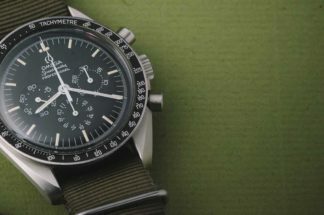 Despite the “filling” being the movement in a square steel frame, the effect is no less “naked” just because the metal work reaches to the case’s edges. It’s perfectly offset by a grey alligator strap and it possesses the same rugged-yet-transparent presence that defines the Hublots and Milles and Cvstoses and Rebellions and other macho skeletons. For those who want something worth seeing, this doesn’t disappoint. Not only is the BR-CAL.380 movement a flying tourbillon, it’s automatic, with a micro-rotor as the name declares. And the underside view is as enticing as the front, because the clean bridges highlight both the back of the tourbillon and the rotor itself. The movement is slightly skeletonised; in combination with the sapphire components and a case thickness of only 8.9mm, this is a slim piece that won’t snag a cuff. Two other novel elements deserve mention. 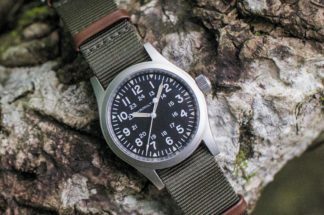 The first is that this watch is actually water-resistant to 50m. The second is that it has been priced at €49,900, which is low not only for an automatic watch with tourbillon, but for a watch that is predominantly housed in sapphire. Bad news? Only 99 will be produced, so get your thumb out if you fancy the thought of owning one of the world’s few military-styled, see-through tourbillons.